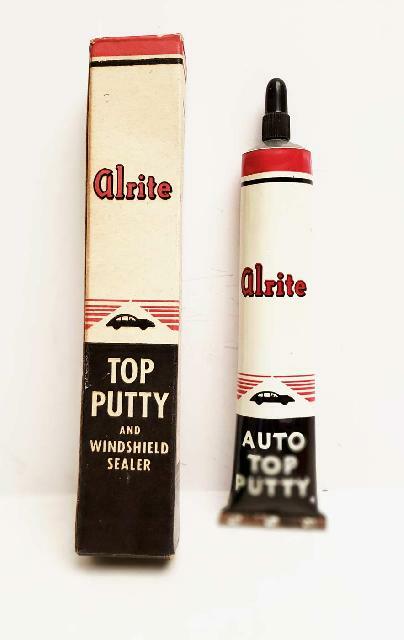 Alrite Auto Top Putty and Windshield Sealer in Original Box. Circa 1950's. Alrite MFG. 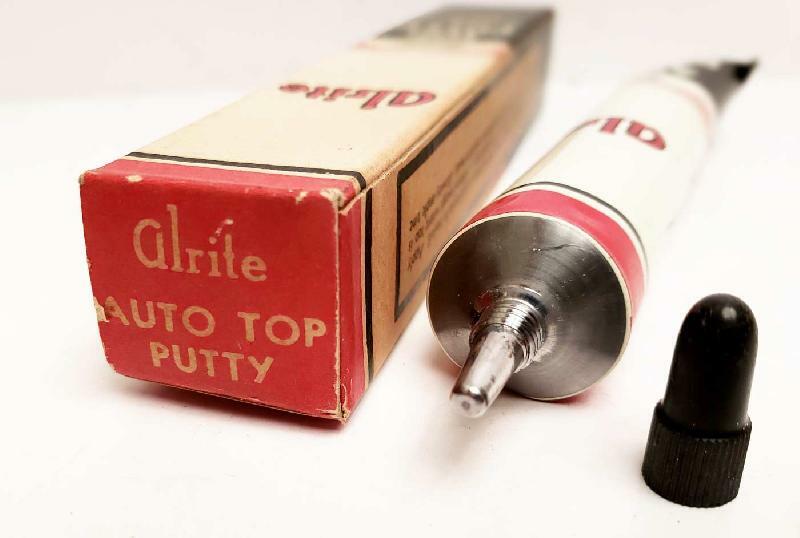 Co., Allentown, PA. Made in U.S.A. Tube never opened. Condition (Excellent) Box size: approx. 7" x 1-1/4" x 1-1/8"